India GK Question Sample Paper 113: India General Knowledge (GK) Sample Question Paper No. 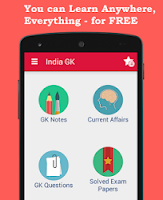 113 with Collection of 20 Question of India GK Questions under GK Quiz in PDF @ India GK Sample Papers. India General Knowledge (GK) and General Science (GS) Questions are also available with Quiz on daily basis. Q.1896 The software company I-flex Solutions (Now Oracle Financial Services) was originally a division of which company? Ans : A. (i-Flex (Now Oracle Financial Services Software Limited was started in 1990 by CITIBANK as CitiCorp Oversea Software Ltd.. Later it becomes I-Flex which was later acquired by Oracle and renamed as Oracle Financial Services Software Limited in 2006) . Q.1897 Which political party emerge as largest party in Haryana Assembly Election 2014 ? Q.1899 Total Number of Member states in European Union (EU) are ? Q.1900 Which political party emerge as largest party in Haryana Assembly Election 2014 ? Q.1904 Which of the following steel plants was set up in collaboration with the former Soviet Union? 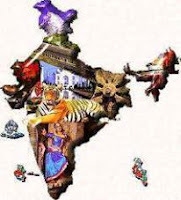 Q.1906 Before we attained independence, crude oil was produced in just one of the Indian states. Name the state? Q.1907 Which of the following radiations has shortest wavelength? Q.1909 Ice bags float in water because density of ice is? Q.1910 Which country 'Golan Heights' belongs to ?